We will recruit around 30-40 Toastmaster volunteers to cheer up the runners and provide them with water on the floor! 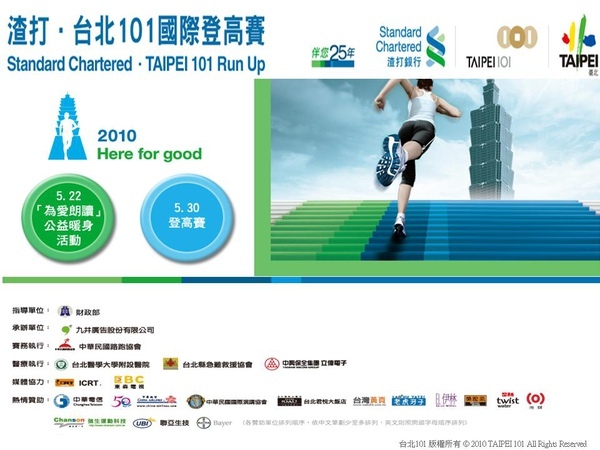 go or climb to the top of Taipei 101, but most importantly, you could help introduce and promote Toastmasters! Such a wonderful opportunity, would you like to join it?! Please make your registration by 5/14 to Victoria Wang who will be our in-coming District PR at victoria.wang@mail.com! As the number for the registration of this volunteers is quite limited, please make it soon! Dig More, Reap More! 深耕必得!